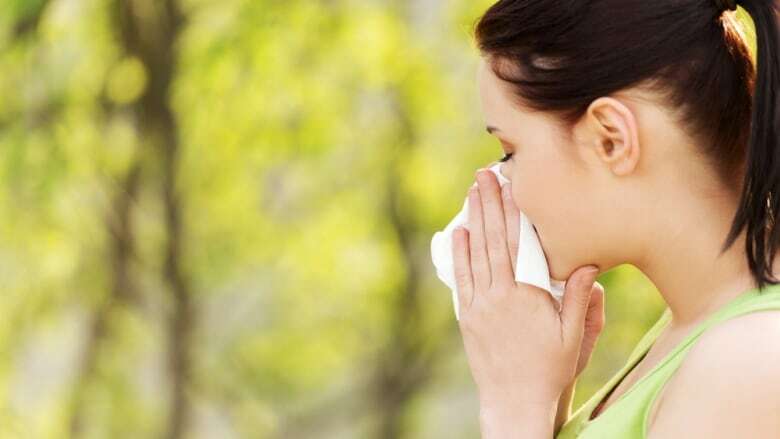 An allergy monitoring centre warns Vancouver is in the middle of peak allergy season as extremely high levels of cedar pollen are detected in the air. If you've been sniffling and sneezing lately there's a good explanation. According to the latest samples, tree pollen counts in the Vancouver area are off the charts. Samples taken by a local allergen monitoring station found more than 3,000 grains of cedar pollen present per cubic metre of air. Grain counts are considered to be low below 20, while anything above 200 is considered very high. "It's definitely allergy season now in Vancouver," said Dawn Jurgens, director of operations at Aerobiology Research Laboratories where the samples were analyzed. "You're in the peak time for sufferers that have allergies to cedar." Each spring, specific proteins in tree pollen trigger symptoms like coughing, sneezing and itchy eyes in Canadians with allergies. Among the worst offenders are ash, alder, birch, box-elder, cedar, elm, maple, mulberry, oak and walnut. Cedar season starts from early to late March and ends late May to early June. Jurgens says cedar-related allergies can last a long time in B.C. because there are many different types of cedar trees in B.C., which pollinate at slightly different times. This lengthens the amount of time cedar pollen is in the air. The Ottawa-based lab is forecasting cedar allergies will last into May, which is when allergies to grasses will likely start acting up and last for most of the summer. Jurgens says minimizing exposure is key for people with allergies. "Somebody that's going out for a hike or a walk, you're walking through a lot of cubic metres of air that you're breathing in as you're walking." Healthlink BC also lists several strategies for preventing allergy symptoms including keeping house and car windows closed, wearing a pollen mask or dust mask if you need to mow the lawn, rinsing eyes with cool water or saline eye drops and taking a shower and changing clothes after being outside. Aerobiology has stations across the country collecting samples of pollen, including in Vancouver, Victoria, Burnaby and Kelowna. Samples are then shipped to the Ottawa lab for analysis under a microscope. The Victoria station is currently recording high levels of alder pollen. But it could be another week before any pollen levels in Kelowna are above moderate levels. Aerobiology says its forecast is 84 per cent accurate.